Until a few years ago I was a mushroom hater. But after one fantastic mushroom risotto I can’t get enough. 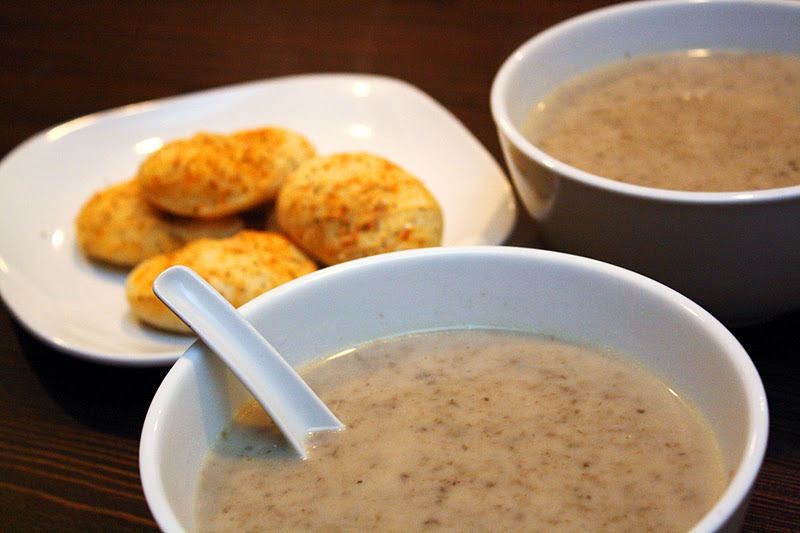 We love this quick and easy recipe for cream of mushroom soup. It’s pretty light since the cream is really minimal but it’s super tasty and greatfor a weeknight meal. Saute with the butter in pot big enough for the whole recipe. So easy right? It goes perfectly with Cheesey Jalapeno Rolls. I know it’s really basic but it’s good old comfort food perfect for when you don’t know what you feel like. This looks really good! Thanks for sharing this on the Take it on Tuesday blog hop! I’ve been really enjoying checking out your blog!! YUM! I’m crazy about mushrooms, can’t wait to try this recipe! Thanks for sharing!!! This looks very yummy! Can you please come share at my party. I am already your follower!!! I love mushrooms, but besides using them in casseroles or stir fry, I don’t really use them so much. Mainly because I don’t know what else do do with them. This soup looks really, really good. I bet it’s super tasty, and it looks super simple to make. Thank you so much for linking up to my Your Cozy Home Party. My party is rather new, so I appreciate seeing new “faces”. I didn’t see a link back to my blog, so please remember to include that. Thanks! ps. soup looks great! what beautiful photos! Delicious! 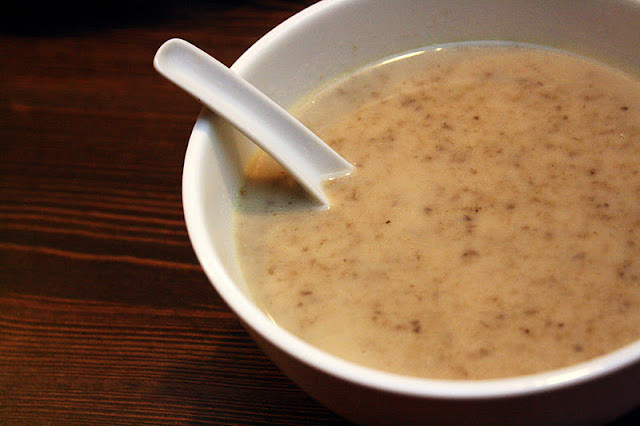 I love homemade mushroom soup! I never think to do it. I love your version and I must try it soon. This looks SO DELICIOUS!!! Thanks for sharing at Overflowing with Creativity! Here’s a link in case you haven’t had a chance to register for my giveaway yet!